CodeLearn Asia - Web, Mobile, Data. Suggested Learning Approach. - Assuming you know HTML/CSS/JS to a decent standard. Why you have to learn this? Resources: Node Guide for Beginners (Free). TutsPlus Tutorial (Free). Node.js API. 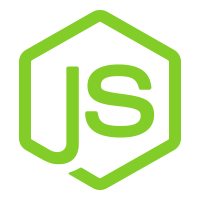 Express is the minimalist framework of choice with the use of Node.js. It is very lightweight, powerful and provides a robust set of features for web and mobile applications. The router features are some of the best out there for serving up files and templates. Uses full fetures on HTTP protocols (e.g. GET/POST/PUT/HEAD). Resources: Express Routing Tutorial. CWBuecheler Express Tutorial (Free). You'll need to learn and use a Templating Engine of your Choice in conjunction with Express to provide your views (for example HTML). Handlebars is my personal favourite as the syntax is arguably simpler than most. Other popular ones are: Jade. EJS. Dust. 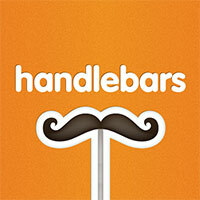 Resources: Handlebars Getting Started Guide (Free). Tuts Plus Handlebars Tutorial(Free). Why you should learn this? Resources: MySQL Tutorial (Free). MySQL API. Useful Extras that will help with your App development. Why is it good to learn this? UIKit is a lightweight, modular front-end framework similar to Bootstrap. The components are broken further down into smaller parts that connect together throughout the framework. UIkit has very powerful features and minimises the usage of JavaSscript by the developer by bundling most components into CSS Classes and Objects. The off-canvas feature sits very well with Mobile App usage.